Technologies are changing every modern business sector and the automotive industry is not an exception. Everything — from the buying process to the driving experience — is currently going through the digital transformation. And that’s means that not only car manufacturers have to keep up with the current tech trends. Basically, any company that is related to the automobile industry must invest in innovations to stay competitive and meet customer expectations. To give you some hard numbers, it is forecast that the global automotive software market will hit 11 billion U.S. dollars by 2021. On top of that, nearly 80 percent of changes in the industry will be triggered by new technologies. This will lead to the shorter model cycles — they will last just 1-2 years instead of 5-8 years as it is today. In this article, we will discuss the hottest digital automotive trends to show you the big picture. We will also take a look at some case studies for you to understand what ideas are already implemented in practice. Let’s start from the very beginning and talk about the impact of new digital technologies on the way we choose and buy cars. Both virtual reality and augmented reality appeared on the horizon several decades ago. However, this year is expected to be an important milestone for their commercial usage. 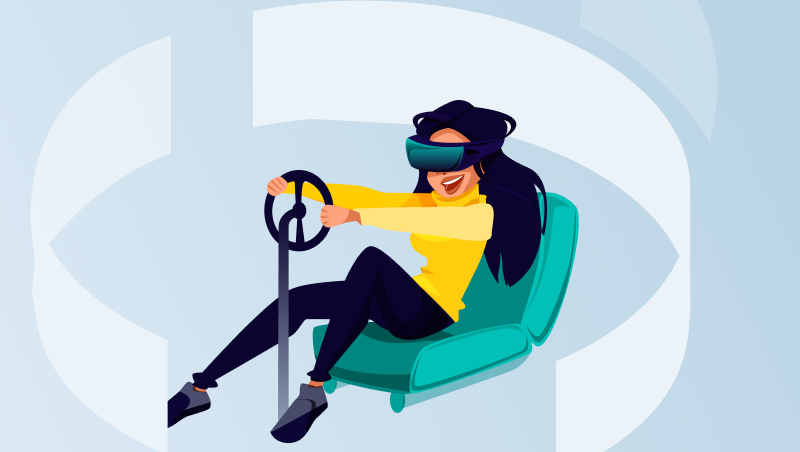 According to Statista, the global VR/AR market size is going to grow to 20.4 billion U.S. dollars in 2019 which is almost twice as big as it was in 2018. What does this mean for the automotive businesses? Well, VR headsets are becoming more and more affordable. For example, Oculus Rift S, a new VR headset by Facebook Oculus, costs only $399. And applications with embedded AR are no longer the exclusive things of the gaming industry. Hence, when it comes to purchasing a car, customers also expect to receive a technology-enhanced experience. It goes without saying that a good website is a must for any automotive business — from manufacturers to dealers. But not only that. Nowadays, a showroom doesn’t need to have all the vehicles on-site. To see and feel all the models, customers just need to put on the VR headset. For example, Audi VR Experience lets potential car buyers digitally configure a future car. Reportedly, it allowed the company to increase the number of new car sales by 60-70% in the pilot showroom. Dealerships that sell used cars also use the virtual reality technology to showcase the assortment available for sale without bringing these items to customers. The Internet of Things is another hot technology trend that is transforming the automotive sector. Nowadays, people are obsessed with connectivity because it makes our life easier. From such small devices as smart watches to the huge infrastructures like smart cities — we want the things around us to interact with each other. The car manufacturers cannot ignore this global tendency either. Why is 2019 so special in terms of connectivity? It is expected that 5G will get global coverage by 2020. Among other things, this means that the Internet speed will increase drastically. As a result, the in-vehicle connectivity will become a default demand of most modern car drivers. It is expected that the number of connected cars will hit 250 million in the next two years. 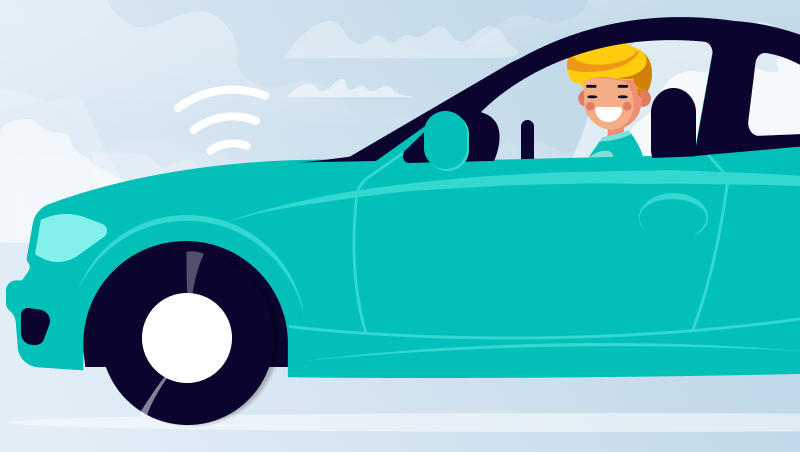 Yet, connected cars not only mean that drivers and passengers will be able to surf the Internet or use social media during the journey. Sophisticated IoT-based solutions will allow for the real-time car diagnostic which will help car owners detect potential malfunctions before they happen. 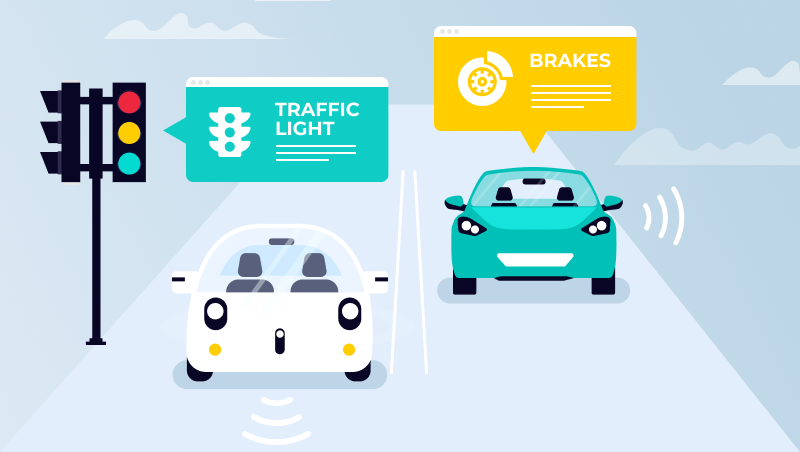 In addition, IoT-powered cars will be able to digitally communicate with other vehicles and transport infrastructure. This will lead to enhanced safety and improved traffic. In the automotive industry, artificial intelligence is usually associated with self-driving cars. But, actually, this technology can be used in numerous other ways. In general, the size of the automotive AI market is expected to grow to 10 billion U.S. dollars in the next five years. And the major share of the investments in artificial intelligence will be related to safety issues such as blind spot alerts and driver monitoring. 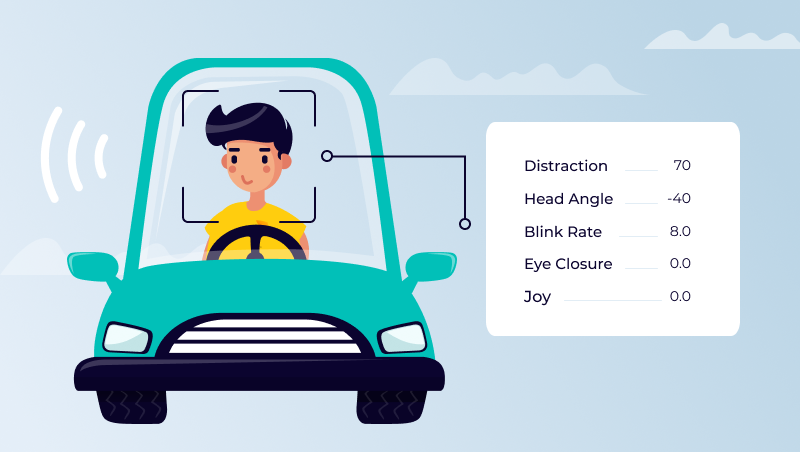 A great example of AI-powered safety solutions is Automotive AI platform by Affectiva. It was released nearly a year ago and its main task is to monitor driver’s behavior and emotions. For instance, a robot can detect when a driver is sleepy, closed his or her eyes or uses a mobile phone on the road. It will then notify such a driver about distractions and this will mitigate the risk of a human-caused accident. It’s worth mentioning that lots of car manufacturer already follow this new technology trend. This means that it may become the industry standard much sooner than many expect. Modern people spend a lot of time in cars and it’s important to make their in-vehicle experience as pleasant as possible. For this reason, today’s car manufacturers pay much attention to personalization and the level of comfort offered by every model. Just like any other digital device, new cars are expected to adapt to the needs of specific users. This applies to everything from body shape to common routes and to air conditioning. Another benefit that goes hand in hand with personalization is the increased capability. Since cars will be able to perform many tasks without human intervention, consumers will get the opportunity to spend their time on the road more productively. We will see the full potential of this automotive industry trend when autonomous driving vehicles will become mass-produced. However, companies in the automobile industry should be ready to re-think the whole concept of driving experience in the nearest future. Many believe that 3D printing is not just a new tech trend but the future of the automotive industry. Some leading manufacturers already use this technology to produce separate parts for cars. But the vehicles of this kind have been more just experiments rather than products for consumers. However, the situation is going to change in 2019. The first mass-produced 3D printed car was created by XEV, an Italian startup, in collaboration with Polymaker, a Chinese 3D printing company. Almost all parts of the vehicle are 3D printed, except for windows, tires, chassis, and seats. The car is called LSEV and it is planned to appear on European and Asian markets during this year. The release of LSEV is an important event for the whole business sector. Its announced price constitutes only $7.500 and all parts needed for one item can be created in just 3 days. No doubt LSEV will win customers’ hearts. Hence, to stay competitive, other car manufacturers should also start thinking about lowering production costs and time. 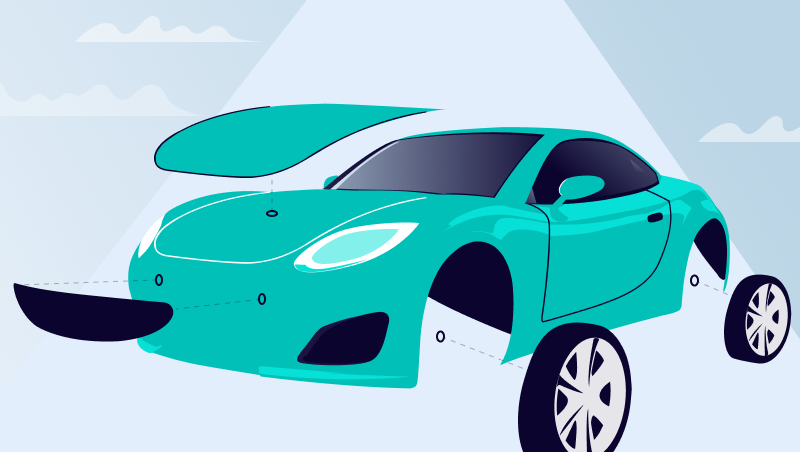 In this article, we outlined major IT trends in automotive that have all chances to become the industry standards in the nearest future. Of course, it doesn’t mean that you need to start following all of them right now. The digital transformation process is the long journey and it may not be completed in a short span of time. As professional app developers, we recommend you to start with the digital automotive trend that will be the most beneficial specifically for your business. But don’t forget to always keep your finger on the pulse not to miss anything important. Looking for a team of professional programmers for your next development project?